We’re at BM minus 16 days–otherwise known as the period when I bolt awake in the middle of the night, panicked about things that seem utterly manageable in the daylight hours, such as flowers. Or cake. Lucky for my son, the focus of my attention is no longer his Torah portion or speech, but rather ensuring that the guests will be handily compensated with food, drink, and entertainment for sitting through them. As the RSVPs trickle in, I find myself hoping for “Regrets.” Partly it’s about the cost, but also I have convinced myself that the fewer people who come, the less polished the whole event needs to be. 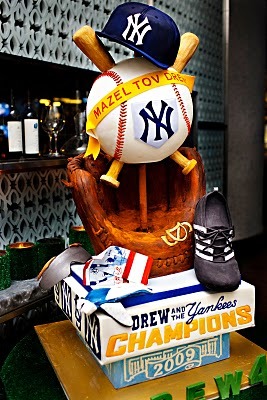 As someone who revels in informality and enjoys scrambling to meet deadlines, I find the whole notion of the bank-breaking, over-the-top “Bar Mitzvah Wedding”–complete with ice sculptures and first dances–extremely distasteful. In fact, I am compelled to take almost the direct opposite approach: home-grown and low-key. Somehow, the more slapdash it all is, the better I feel about it. He’s just a teenager reading a little Hebrew from the Old Testament, for God’s sake. Plus I generally like to do things differently from everyone else. When I was 13, for instance, all my friends were having Bar and Bat Mitzvahs, so I decided not to. Then, when I was 15, no one was having a Bar or Bat Mitzvah; they were getting confirmed, or just getting drunk, so I decided to have a Bat Mitzvah. This time around, I opted to save hundreds of dollars by sending my son’s invitations strictly by email, through a wonderful website called Paperless Post, which blows Evite away. The email arrives as a replica of an authentic envelope, complete with fancy calligraphied names. When guests click on the envelope, the flap opens and the invitation pops out. There are hundreds of designs and fonts to choose from. My son, who does NOT like to do things differently from everyone else, was vehemently against this plan, in part because it meant he had to ask some of his friends for their parents’ email addresses. But he lost that battle. And as the responses started coming in with all sorts of comments complimenting his “green” invitation, he quickly changed his tune. The site tracks who received the invitation, who opened it, and who responded, and will automatically send updates and reminders. Incredibly, the only person who didn’t get ours was my mother-in-law, who is 85 and has not been on email since her mammoth desktop computer became obsolete about five years ago. I hope she knows she’s invited. This entry was posted in Cranky mommy blogger, Kids, Parenting, Reality check and tagged Bar Mitzvah planning, Bar Mitzvah RSVP, email invitations, paperless post. Bookmark the permalink.